My brother-in-law Jeff loves egg nog, I’ve never been a big fan but since Jenn shared her family recipe with me I decided to make this for Christmas this year. I have to say, I am now a fan of egg nog! The egg nog I’ve had in the past had flavors in it I didn’t really like, the great thing about making it myself is, I controlled what flavors went in and kept it pretty simple. When Nancy found out I was making this she suggested I double the batch. Turns out she’s a fan of egg nog also. It was a good call on her part, it’s going to go quickly. I’ve had 2 glasses of it already. I had to do quality control on each batch. Jenn suggests making the egg nog a few days before Christmas to let the rum really work its way into everything. If it tastes this good already, I can’t wait to see how it tastes on Christmas day! Beat the yolks, add sugar and milk. Add flavoring, except nutmeg. Beat well and pour into a new container. Add rum and stir. 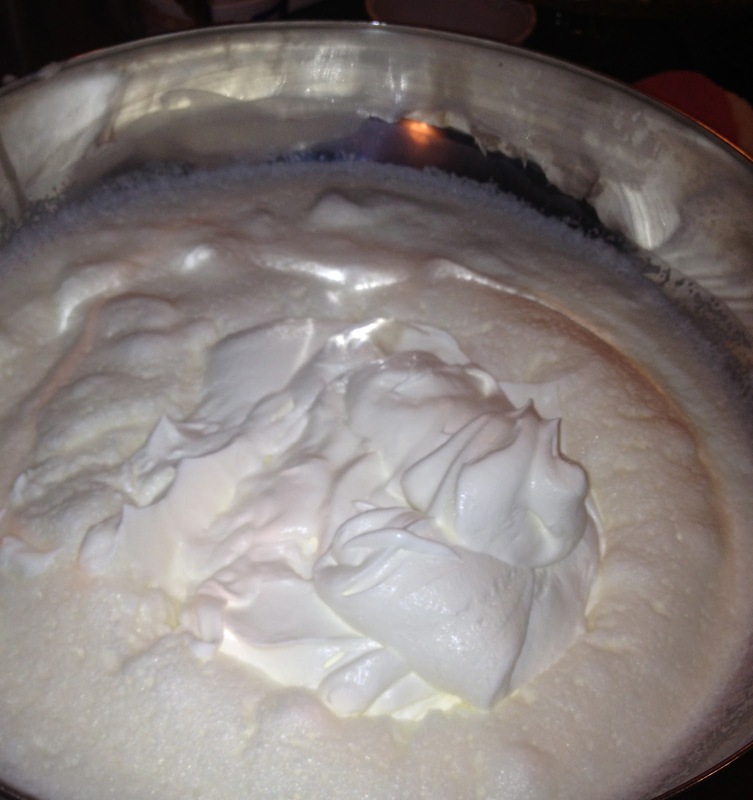 Thoroughly wash mixer and dry and then beat the egg whites until stiff. Fold into mixture. Thoroughly wash mixer and dry and then beat heave cream until thick. Fold into mixture. Sprinkle with nutmeg. Keep in the refrigerator for up to two weeks. My edits: I didn’t use brandy or nutmeg. I also used one cup of sugar in the yolk mixture and then used a half of cup when whipping the cream to give it some sweetness.